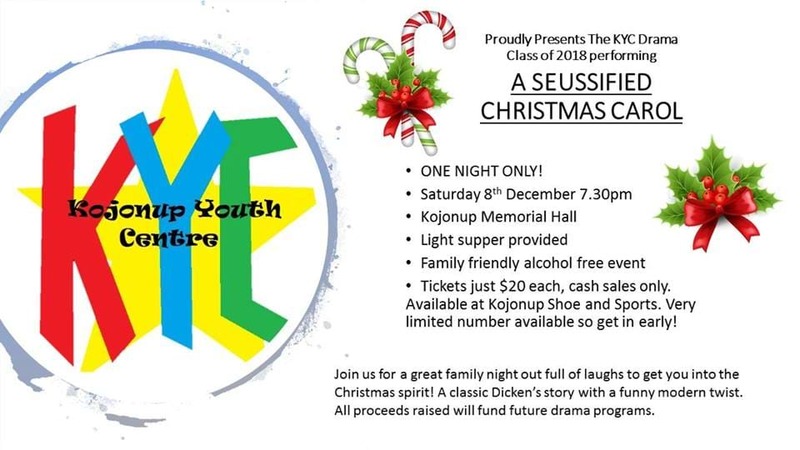 Come and watch some of the most talented kids in Kojy as they perform A SEUSSIFIED CHRISTMAS CAROL. The Dickens classic 'A Christmas Carol' gets a hilariously Seussy makeover in this full length feature play. All proceeds raised will go directly towards future drama programs. Be there or be square, Tickets available now from Kojonup Shoe and Sports-VERY LIMITED TICKETS AVAILABLE get in quick to avoid disappointment!! !